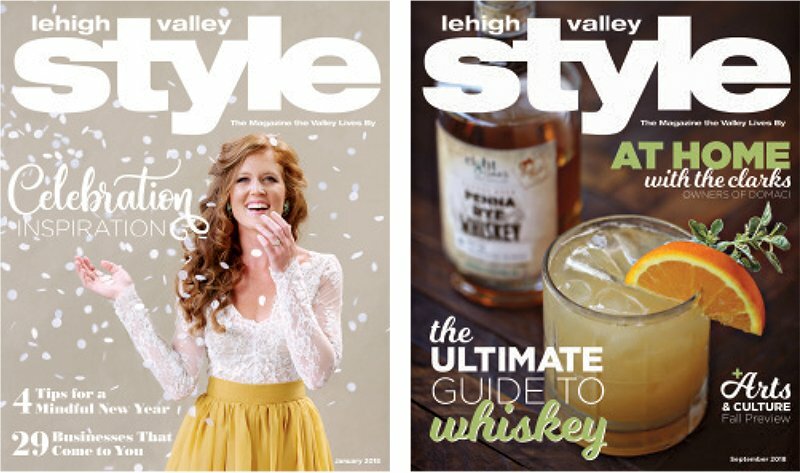 Turn the pages of Lehigh Valley Style and you’ll find notable citizens, exquisite homes, fabulous restaurants, and exclusive events—a true editorial showcase of the arts, culture, fashion and culinary excellence that the Lehigh Valley has to offer. And it doesn’t stop there. Now in our 19th year, we’re a magazine and so much more. For advertising rate information, please contact pdeller@lehighvalleystyle.com.